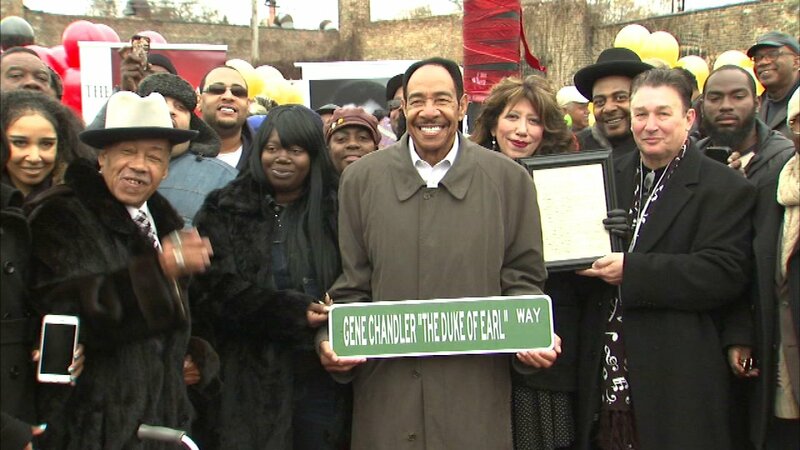 A stretch of 59th Street in the Englewood neighborhood was renamed in honor of musician Gene "Duke of Earl" Chandler. CHICAGO (WLS) -- Musician Gene Chandler, known as the "Duke of Earl," was honored Saturday in the city's Englewood neighborhood where he grew up. A stretch of 59th Street between Racine Avenue and May Street is now named for Chandler. Chandler got his nickname from his best known song --- a doo-wop hit from 1961.